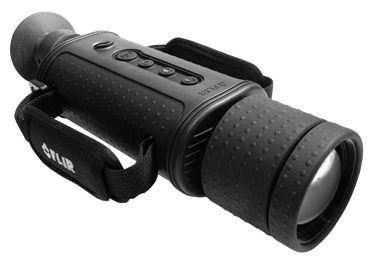 The FLIR HS-307 provides a 320x240 resolution thermal image at half the cost of comparable cameras, giving officers excellent, high-fidelity thermal imagery that provides the detail necessary for cutting edge performance. The HS-307 has a 65mm Lens with a 7°(H) x 5°(V) Field of View. See at Night, Stay Safe: FLIR’s HS-307 handheld thermal imaging cameras let law enforcement officers see clearly in total darkness, giving them the undeniable tactical advantages they need to stay safe and operate effectively at night. With true night vision finally available to every agency, officers will have the information they need to make quick decisions, enhancing mission effectiveness, maximizing operational capabilities, and improving officer safety.